To start with take good care of your baby’s scalp. A good idea would be to dip cotton wool in a good oil like coconut hair oil and apply gently on the scalp. Some children’s heads absorb oil quickly, so you’ll need to apply more. After a while when you bathe your baby, you can wash off the oil with a mild soap. Doing this regularly helps the baby’s hair to grow well. The alternatives to harmful shampoos and soaps in India are certain plants. They contain a compound called saponin which produces lather when the plant tissues are rubbed in water. They can also be used to make shampoos. 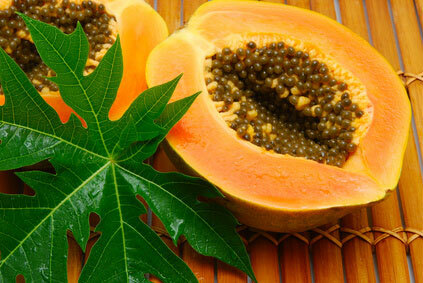 They help in clearing the skin and giving a nice glow. 2. Soap nut powder (reetha) and shikakai are also used. 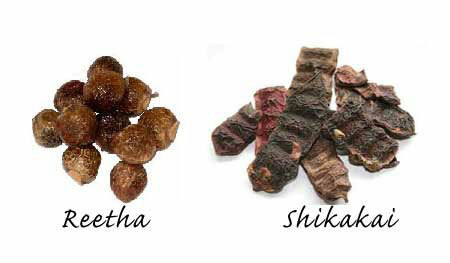 But shikakai and reetha are usually not recommended for babies because they tend to burn the skin. People have different opinions—each one to his own! 3. 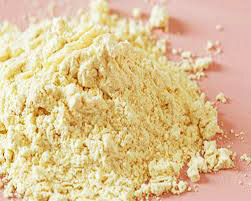 Powder made of dried orange rind, lemon rind; rose petals etc can play an effective role as a substitute for soap. 4. Turmeric powder which is a germicide, is also used along with besan, kasturi manjal etc. 5. 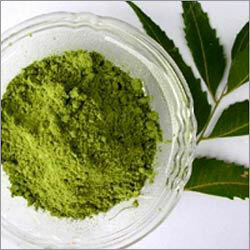 Powdered leaves of Neem, curry leaf etc also find their use in substituting soap. In combination with milk, these herbs make an ideal wash for the upkeep of skin. One cannot avoid chemicals altogether. They are everywhere. Some are bad, most are harmless and others are still being talked about. Pthalate is one chemical of which there is no fixed opinion. Some feel that the phthalate used in shampoos are harmful. Others feel that the amount of phthalates that children are exposed to is not enough to harm them. So should you never use shampoos or moisturizers on your child? Your choice really. Or you could look for products labeled “phthalate free”, or those with natural fragrances. Keep in mind that greener products are costly. Don’t hesitate to use a product that contains phthalate if you prefer commercially made shampoos and soaps to home made remedies. There are baby soaps, shampoos and powders that are being manufactured with baby skins in mind – and they are mild. Is your child very naughty?